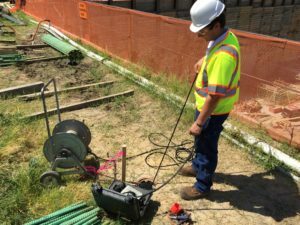 Seismic Survey’s Inc. installs and monitors automated total stations (AMTS), inclinometers, tiltmeters, digital and analog crack gauges, extensometers, vibration and noise monitors, and other geotechnical and structural monitoring instrumentation adjacent to construction projects in congested areas. Also known as a Robotic Total Station, SSI uses this optical survey instrument to automate the process of settlement and deformation monitoring of structures adjacent to construction projects with a high degree of accuracy. Applications include monitoring of existing bridges, buildings, shoring systems, and tunnels that are adjacent to excavations, pile driving, or underpinning for construction related movements. The data is automatically updated on a data management website after each reading and can be automatically emailed to designated project personnel for ease of reporting. Threshold limits can be programmed to alert project personnel of excessive movements. Tiltmeters are accelerometers that measure relative angular rotation or “tilt” of a structure. 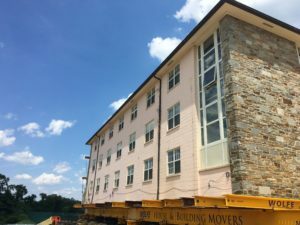 SSI uses this instrument to monitor deformation of structures adjacent to construction projects with a high degree of accuracy. 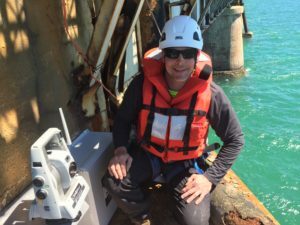 Applications include monitoring of existing bridge piers, walls or columns, and shoring systems that are adjacent to excavations, pile driving, or underpinning for construction related movements. The data can be obtained manually, or measurements can be automated. For automated systems, the data is updated on a data management website after each reading and can be automatically emailed to designated project personnel for ease of reporting. Threshold limits can be programmed to alert project personnel of excessive movements. Inclinometers are accelerometers that measure relative angular rotation or “tilt” of a vertical column of the ground or a structure. 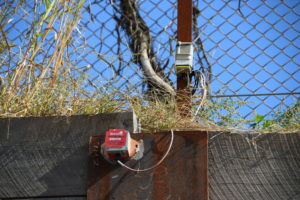 SSI uses this instrument to monitor deformation of the ground behind shoring systems, or for slopes adjacent to construction projects with a high degree of accuracy. Applications include monitoring of potential ground movement behind shoring systems for deep excavations, potential slope movements, and potential movement of the ground restraining tunnel movement adjacent to excavations. Installation of inclinometers is typically in a 2.75-inch diameter slotted casing that is installed and grouted into a borehole that is drilled to some depth below the shoring system, into competent strata. The data can be obtained manually, or measurements can be automated. For automated systems, the data is updated on a data management website after each reading and can be automatically emailed to designated project personnel for ease of reporting. Threshold limits can be programmed to alert project personnel of excessive movements. Extensometers are analog or digital displacement gauges that measure relative crack width or wall (tunnel) length. SSI uses this instrument to measure relative crack movement or tunnel deformation adjacent to construction projects with a high degree of accuracy. Applications include monitoring of potential crack movement in walls, or tunnel deformation in existing structures that are near heavy construction activities including pile driving, blasting, and deep excavations. The data can be obtained manually, or measurements can be automated. For automated systems, the data is updated on a data management website after each reading and can be automatically emailed to designated project personnel for ease of reporting. Threshold limits can be programmed to alert project personnel of excessive movements.